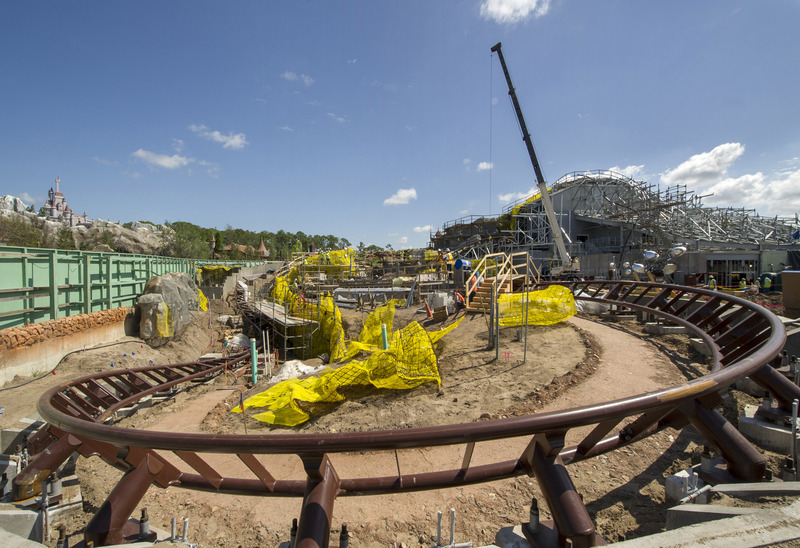 Update: As of 01/13/14, we’ve added a new daytime video for the Seven Dwarfs Mine Train Roller Coaster ride, where we show over the wall the most recent construction update. Scroll down to the bottom to see the video. Last night, while visiting Magic Kingdom at Walt Disney World, we decided to take a look at the Snow White Seven Dwarfs Mine Train Coaster Ride over the wall. 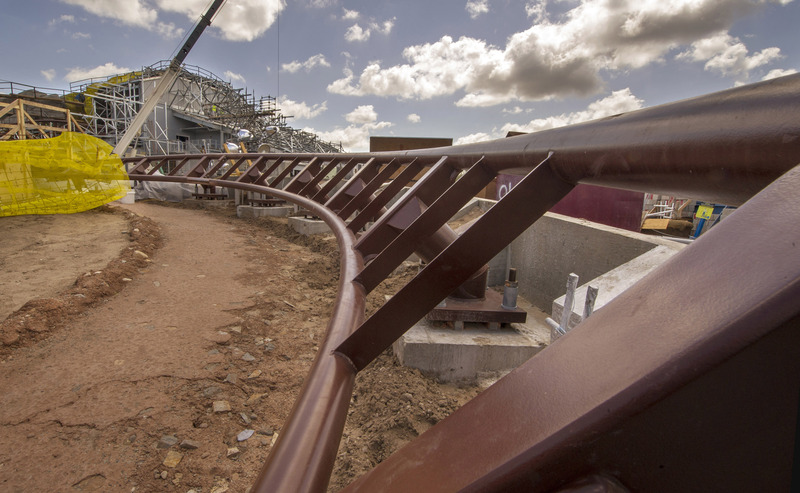 In the middle of Fantasyland they are building the next roller coaster attraction, the Seven Dwarfs Mine, and we can’t wait to ride it! 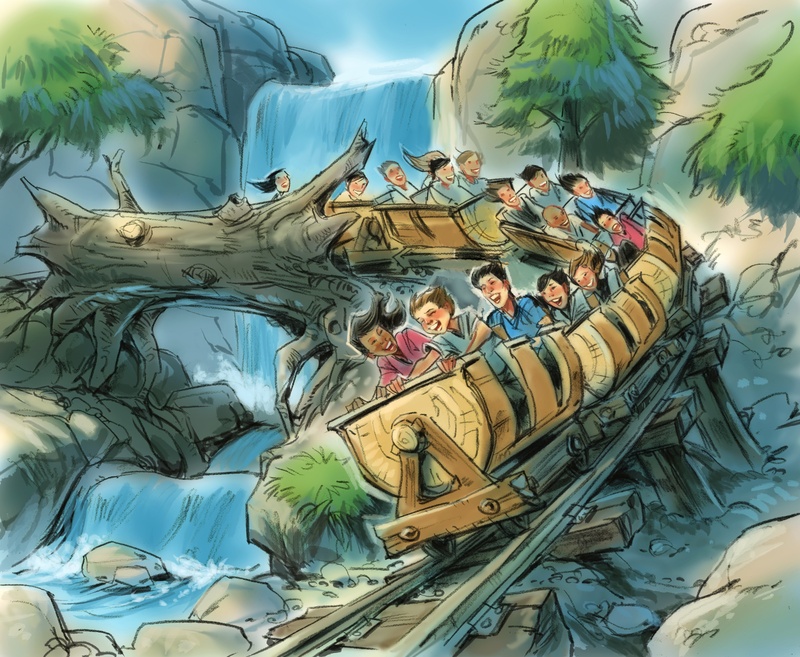 The Seven Dwarfs Mine Train Coaster is said to be on schedule and set to open this spring 2014. I am excited, anyone else? So what do you think? I can tell you that I am excited for going back today or tomorrow to get a video during the day… we had no idea it would be this far along!